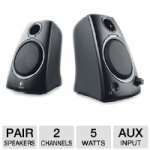 This 2.1 multimedia speaker system is a practical audio solution for all multimedia applications. 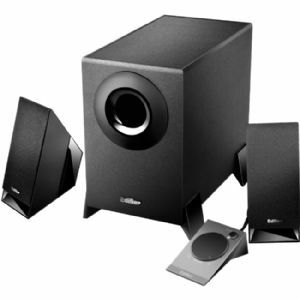 With upward angled subwoofer, sound is channeled towards the user with a clear, even bass output. 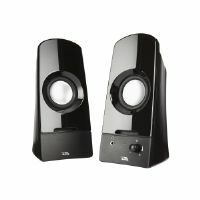 The wired remote allows for ease of volume control and the 3.5mm stereo input and RCA input easily connects to any host device.